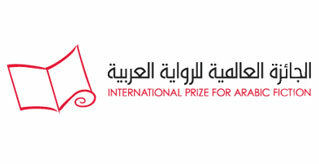 The International Prize for Arabic Fiction is funded and supported by numerous organisations. The Booker Prize Foundation is a London based registered charity (no 1090049) which, since 2002, has been responsible for the award of the Man Booker Prize. Established in 1968, the Man Booker Prize (formerly known as “the Booker Prize”) is the leading literary award in the English speaking world. It is given in October each year for the best novel in the immediately preceding year written in English and published in the UK. The judges of the Man Booker Prize are selected from leading literary critics, writers, academics and notable public figures and the panel changes each year. This change of personnel contributes to the internationally acclaimed excellence and integrity of the prize. Each year the winning novel is translated and published worldwide, and is assured greatly increased sales and international recognition. In 2005 The Foundation inaugurated its Man Booker International Prize. The model of this prize will change from 2016 when it will be awarded in May for the best novel or collection of short stories translated into English and published in the UK. Prior to the selection of the winner, a longlist and shortlist will be announced. Its prize purse will be divided equally between authors and translators. The Literary Director of the Booker Prize Foundation is Gaby Wood. Etihad Airways began operations in 2003, and in 2015 carried 17.4 million passengers. From its Abu Dhabi base, Etihad Airways flies to or has announced plans to serve 116 passenger and cargo destinations in the Middle East, Africa, Europe, Asia, Australia and the Americas. The airline has a fleet of 120 Airbus and Boeing aircraft, with 204 aircraft on firm order, including 71 Boeing 787s, 25 Boeing 777Xs, 62 Airbus A350s and 10 Airbus A380s. The Abu Dhabi International Book Fair is the most professionally organized, most ambitious and fastest growing book fair in the Middle East and North Africa. Abu Dhabi is the motor driving the professional and commercial development of the regional publishing industry, and is financially and philosophically committed to the long-term expansion of the global book business. The Abu Dhabi International Book Fair, under the patronage of His Highness Sheikh Mohammed Bin Zayed Al Nahyan, Crown Prince of Abu Dhabi and Deputy Supreme Commander of the UAE Armed Forces, is a major business initiative of KITAB, a joint venture of the Abu Dhabi Authority for Culture and Heritage with the Frankfurt Book Fair. This cooperation allows for the exchange of ideas and expertise to develop an intellectual and professional forum for all sectors of the book industry of the Middle East, North Africa and beyond.